Despite the claims of diets that promote cutting back on carbohydrates, these macronutrients are among the most important components of the foods you eat. 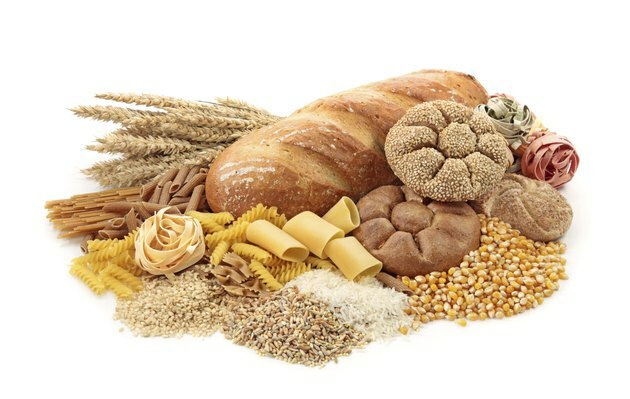 Carbohydrates typically come in three varieties: sugars, starches and fiber. Grains, vegetables, fruits and dairy are all sources of carbohydrates, which should make up about 45 to 65 percent of your daily caloric intake. Getting too few carbohydrates can lead to unpleasant side-effects and, over time, even major complications. Carbohydrates are your body's main energy source. Every gram of carbohydrates you consume contains about 4 calories. When you consume carbohydrates, the enzyme amylase converts them into glucose, the primary fuel that the body uses to power all cellular activity. The heart, brain, kidneys and muscles all need carbohydrates to function. Excess carbohydrates can be stored in the liver and muscles for later use after being converted into glycogen. When you restrict carbohydrates from your diet, you are likely to experience side-effects as your body tries to make up for the sudden lack of fuel. You are likely to experience mood swings, nausea, dizziness, weakness and depression as a result. As your body goes into ketosis -- a state in which fat and protein are burned for fuel instead of carbohydrates -- your body will produce compounds called ketones that can show up in your saliva and cause bad breath. You might also notice that your thinking gets foggy as your brain runs out of glucose to fuel its normal activity. Serious complications can develop if you deprive your body of adequate carbohydrates for long periods of time. For example, your body might begin to break down muscle tissue to act as fuel. As the levels of ketones rise in your bloodstream, your blood can become more acidic, placing stress on your kidneys and other organs. Because many of the foods containing carbohydrates are rich sources of other nutrients, you might also develop nutrient deficiencies if you stop eating carbohydrate-containing foods. One of the main types of carbohydrates is dietary fiber. Fiber is the indigestible component in carbohydrate-containing foods. Fiber works in the body to lower cholesterol, reduce constipation and hemorrhoids, modulate blood sugar and help prevent some types of cancer. You should try to get about 14 grams of carbohydrates for every 1,000 calories you consume, according to the Centers for Disease Control and Prevention.